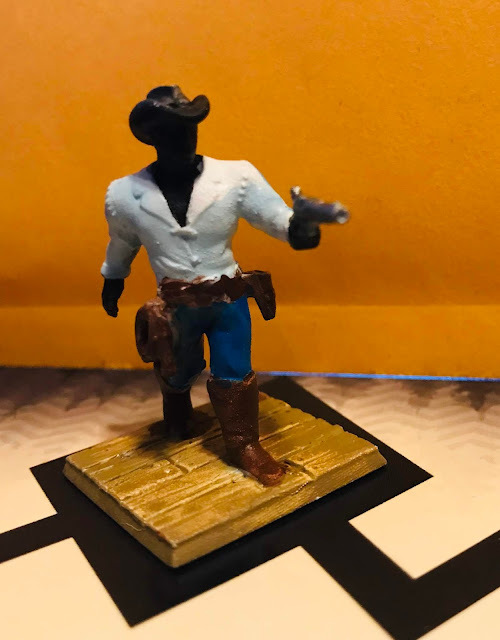 I created a gunslinger in HeroForge and painted him. Note the black hands, head, and chest. This fellow is supposed to be a scary faceless legend, but I haven't yet come up with a cool name for him. He's destined for Villains & Vigilantes at some point...but as hero or villain? Obvious Clint Eastwood reference would suggest The Man with No Name. Or maybe the Duck of Death.